Love birds? 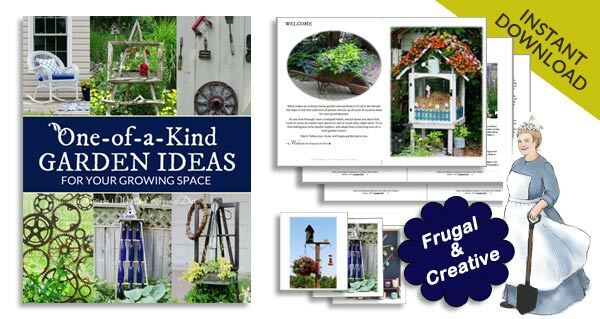 Have a look at these garden art projects and ideas featuring DIY birdhouses, nests, feeders, bird baths, and art. Want to be a bird landlord? See free nesting box plans for backyard birds. When I started out as a gardener, it did not occur to me that birds would become key (and beloved) players in this great adventure. It seems so obvious now, but it did initially take me by surprise to realize that beyond the fact that we were sharing the same space, these sensitive and curious creatures were not only watching, but gradually accepting me as a friend. Their basic instinct to flee from sudden movements or noises will always be there (I hope), but there are always a handful of regulars that clearly recognize me, forgive my clumsy movements, and best of all, trust me no matter how much noise or disruption I cause (digging, sowing, photographing, etc.). Funny enough, it is me who has been startled on occasion when one of my loyal feathered crew suddenly opts to land on my head or hand while I’m pausing in my garden work. I’m usually deep in day-dreams, and startle easily, but the birds are simply looking for a convenient place to rest, and it happens to be on me. There is sweetness in their little voices as they coo and chortle (the sounds vary by species) and I hold still until they decide to fly off. I’ve had this happen with robins, chickadees, nuthatches, goldfinches, and hummingbirds. The robin was a special one that I had helped with some nesting issues (fixing her precariously-placed nest and offering fresh worms and other food), and she stuck around a long time after the babies had fledged. The other birds are ones known to be quite trusting and easy to hand-feed but it is extra cool when they drop by without the enticement of seed or nectar. 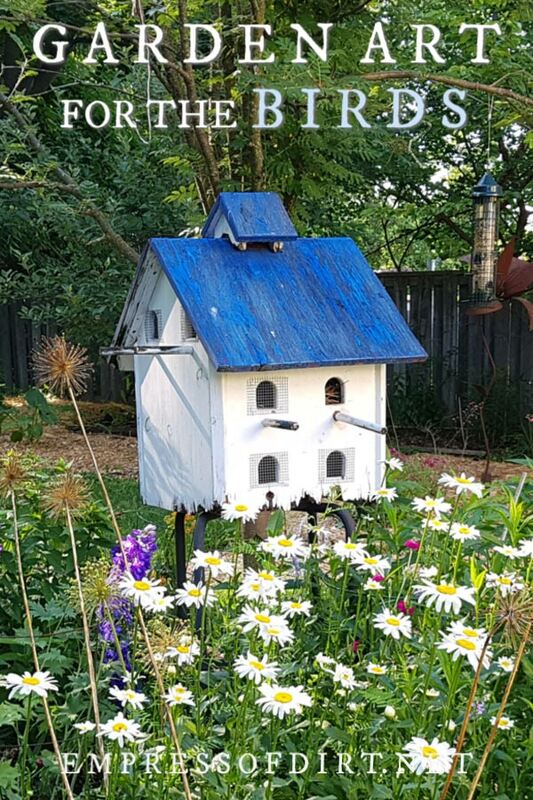 Ultimately, my love of the birds is part of the great pivot that comes with a life of gardening. We start off thinking it’s about plants and a beautiful backyard, and gradually realize what keeps us there is the incredible-ness of the big picture and how everything works inter-dependently together. And friendships of all kinds. Now go outside and enjoy the birds!